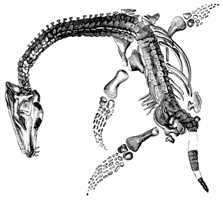 Tracy Chevalier discusses her book about fossil collector, Mary Anning, with Dr Richard Fortey. Organised jointly by The Royal Society and The Royal Society of Literature. Fortey, who is currently working on a book about organisms which have survived from deep geological time. Their conversation will be chaired by Dr Alice Roberts. is published in August this year. Dr Richard Fortey FRS is a senior paleontologist at the Natural History Museum in London. His previous books include Trilobite! Eyewitness to Evolution, short-listed for the Samuel Johnson Prize in 2001, and The Hidden Landscape: A Journey into the Geological Past, which won the Natural World Book of the Year. He was also the winner of The Royal Society Michael Faraday Prize in 2006. This lecture will be webcast LIVE at royalsociety.org/live and available to view on demand within 48 hours of delivery.